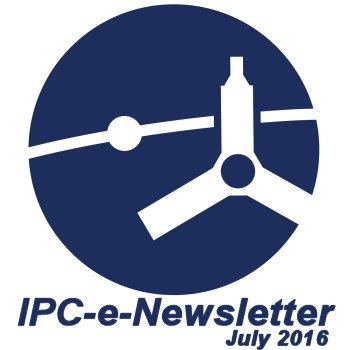 Welcome to the July 2016 edition of the IPC e-newsletter. The IPC e newsletter is distributed free to more than 5000 people around the world. Why should Connecticut grant permit for pollution of Quinnipiac River? Over the years, the Quinnipiac River has sustained continued assaults from many different polluting industries. Historically, the clay soil along the banks of the river attracted industries to develop there and the state began to look at the Quinnipiac as an industrial river. The Cytec Industries chemical plant in Wallingford continues to discharge into the Quinnipiac. It recently was sold and is now called Allnex, but Allnex basically makes the same toxic materials that Cytec made and very much the same chemical products that Upjohn made before it closed. Dr. Ebeling will be in charge of the engineering and production teams for EDI extrusion and polymer coating dies and Premier fluid coating dies. Asian Paints Ltd has decided to revise its plans for the proposed manufacturing unit for paints and intermediaries in Visakhapatnam district of Andhra Pradesh. The paints major has informed BSE through a regulatory filing that the company re-looked at its product portfolio to be manufactured at this plant and has decided to revise its plans of setting up of the plant with a maximum capacity of 5,00,000 kiloliters per annum. Asian Paints Ltd is investing around Rs 4,000 crore on setting up two manufacturing plants in Karnataka and Andhra Pradesh, although it has cautioned that demand conditions in the current fiscal "still remain uncertain" on account of the global economic situation. Asian Paints chairman Ashwin Choksi said in the latest Annual Report that "the company would be investing in phases at both these facilities to enable it to service the future demand adequately" <more>. Dow Chemical Co (DOW.N) said it would lay off about 2,500 employees globally, or about 4 percent of its workforce, as part of a deal to assume full control of Dow Corning, which was a joint venture with Gorilla glass maker Corning Inc (GLW.N). NEW DELHI: Chemical firm BASF IndiaBSE -0.81 % today said its parent firm has signed an agreement to acquire specialty chemicals firm Chemetall for $3.2 billion. Germany-based Chemetall supplies specialty chemicals which are used in surface treatment of metals and plastics. The company's consolidated revenue stood at Rs. 1,129.67 crore, up 8.59% yoy but down 7.1% qoq. Berger Paints, third-largest paint manufacturer in the country, is going for capacity expansion with an eye on the revival of demand. The Kolkata-headquartered company plans to expand its power coating plant at Jejuri near Pune. It is also setting up two plants in Assam, near Guwahati and Tejpur, to take benefit of income and excise tax benefits to be commissioned by December. Covestro (formerly Bayer Material Science), the leading global manufacturer of polymers and specialty chemicals, has become the first company to produce plastics on an industrial scale by using carbon dioxide (CO2) as raw material (instead of crude oil). NEW DELHI: Paint and coatings maker AkzoNobel has got fair trade regulator CCI's approval to acquire industrial coatings business of BASF SE. In February this year, AkzoNobel had made an agreed offer to acquire BASF's Industrial Coatings business for 475 million euros. In an interview to ET Now , Jayakumar Krishnaswamy , MD, Akzo Nobel shares his business views. ET Now: The return of volumes and sales growth is clearly evident when one looks at the financials of Akzo Nobel for instance. What has kick started to your mind this recovery in the entire industry so to speak? Bayer AG's crop science division apologized on Monday for a tweet that suggested reduced meat demand could benefit the environment, in a bid to appease outraged farmers who buy the company's seeds and chemicals. The tweet, published on the official Bayer Crop Science (@Bayer4crops) account on Sunday, linked to a Vox.com article that said "going vegetarian can cut your food carbon footprint in half." The post sparked a backlash on Twitter from North American grain growers who sell much of their harvests to livestock operations and from farmers who raise animals. A decline in meat consumption would hurt their incomes. I was nice to meet Vijay J Ahirrao from Krishna Powders Manufacturing Company in our office during his visit to Indore. Vijay Ahirrao told us about the company, its working policies and his activities in the company.